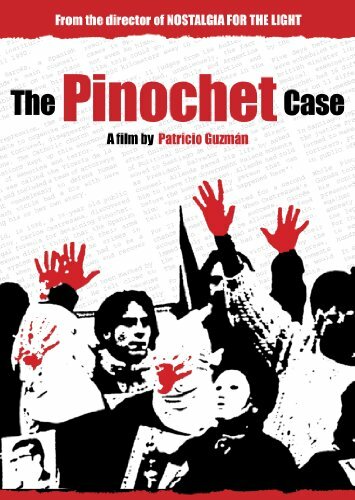 An investigation of the Spanish charges against General Augusto Pinochet, forms an essential part of filmmaker Patricio Guzman's career-long exploration of Chilean history since Salvador Allende's 1973 election and the bloody coup that followed. New York, July 27, 2012 - Available for the first time on home video, The Pinochet Case , an investigation of the Spanish charges against General Augusto Pinochet, forms an essential part of filmmaker Patricio Guzman's career-long exploration of Chilean history since Salvador Allende's 1973 election and the bloody coup that followed. Following its premiere at the Cannes Film Festival's Semaine de la Critique, The Pinochet Case was described by The Guardian as "a fitting coda to a magnificent trilogy", referring to Guzman's three-part epic THE BATTLE OF CHILE (1975-1978), which documented Allende's final months in office, and General Augusto Pinochet's military coup and its aftermath. It joins those three films, and the filmmaker's subsequent meditations on Chile's tumultuous political history: CHILE, OBSTINATE MEMORY (1997), SALVADOR ALLENDE (2004), and NOSTALGIA FOR THE LIGHT (2011), all available from Icarus Films Home Video. In September 1998, Pinochet flew to London on a pleasure trip, and shortly thereafter began experiencing back pain and underwent an operation in the London Clinic. Upon waking from surgery, he was arrested by the London police. The case against Pinochet had begun in Spain two years before his arrest. The Pinochet Case explores how a small group of people in Madrid laid the groundwork for this incredible feat - catching a dictator 25 years after his rise to power, making him the first to be humbled by the international justice system since the Nuremberg trials. The Pinochet Case also follows the workings of the British legal system that issued the arrest warrant, and the testimony of scores of Chileans, most of them women and relatives of the "disappeared", which proved crucial to the case against the general. Their stories are "likely to lead you to tears," Time Out New York proclaimed upon the film's theatrical release, concluding, "this film certainly ranks among the best recent documentaries." When Pinochet finally returned to Chile, he faced 200 accusations of crimes, this time in Chilean courts. Eventually the Chilean Supreme Court also stripped him of his immunity, and on January 29, 2001, Judge Juan Guzman placed Augusto Pinochet under house arrest. As The Pinochet Case testifies, the people were no longer afraid, and the Chilean justice system had finally started to make up for lost time.